Ciner Clown unsigned and with less rhinestones than the one signed. Is the unsigned a Ciner also? 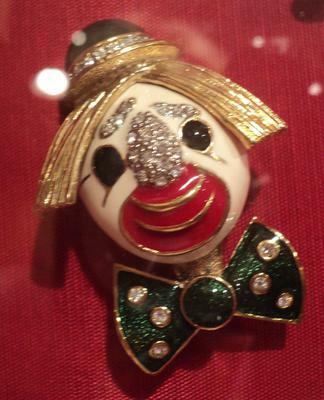 I have 2 clown brooches made similar with the difference being one is signed 'Ciner', has rhinestone clusters on the bowtie, and more rhinestones covering the nose and surrounding area. 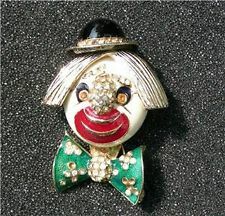 The unsigned brooch has single rhinestones on the bowtie and the rhinestones on the nose pretty much covers just the nose. So my question is the unsigned also a 'Ciner' brooch?